The study area of the PACA Geneva – Eaux Vives – Annemasse consists of fourteen municipalities in the border region between France and Switzerland. 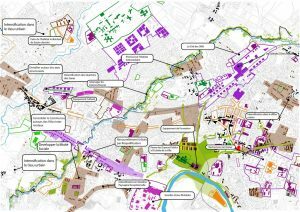 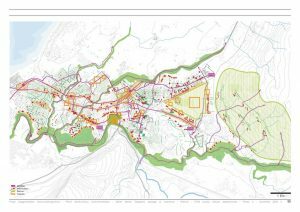 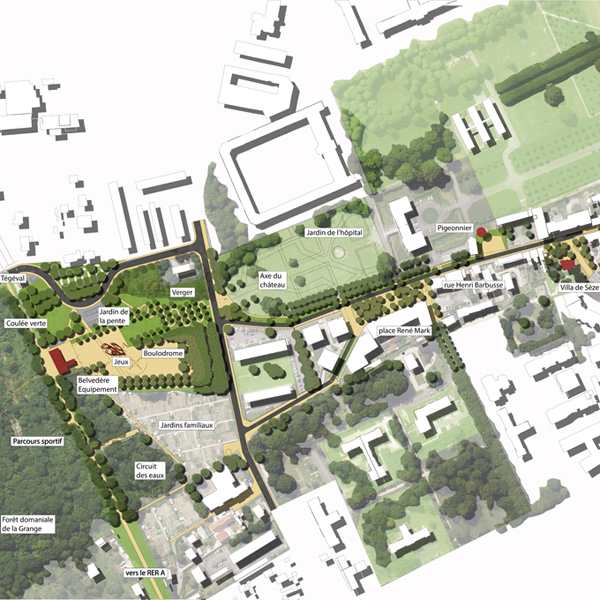 The aim of the study is to verify, through different scenarios, if the planning and redevelopment of this part of the territory offers the possibility to accommodate new residents, employment and services. 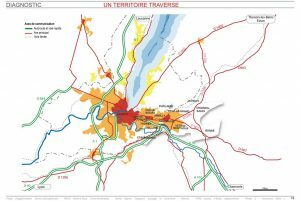 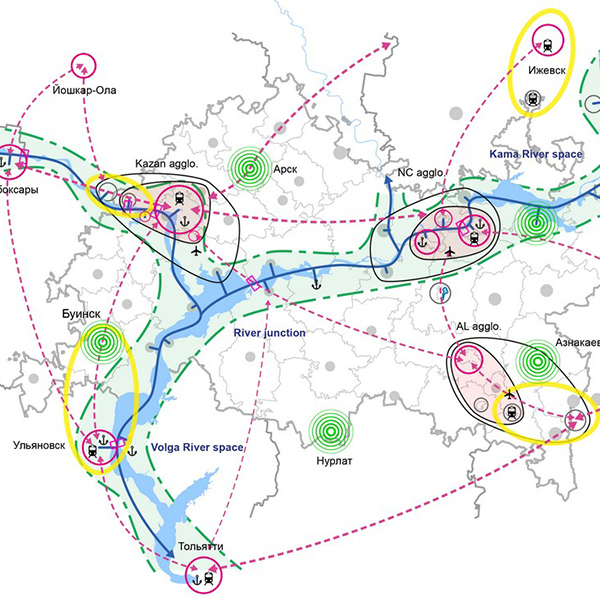 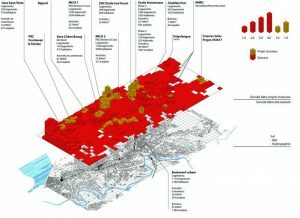 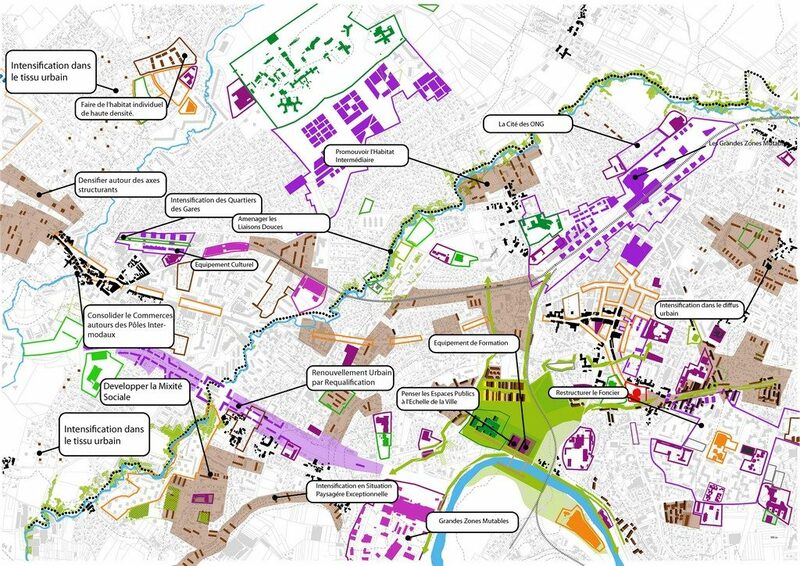 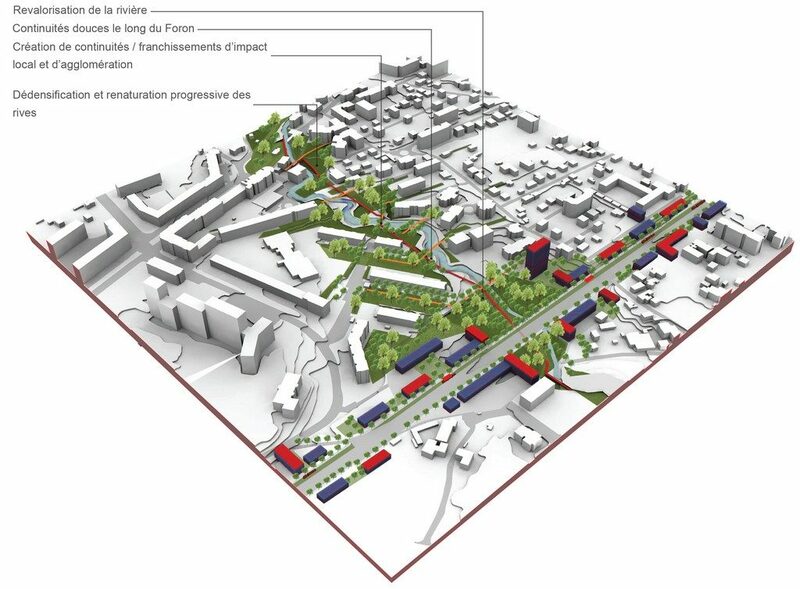 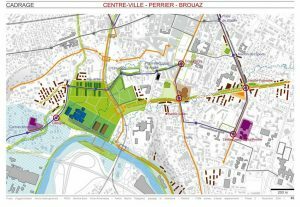 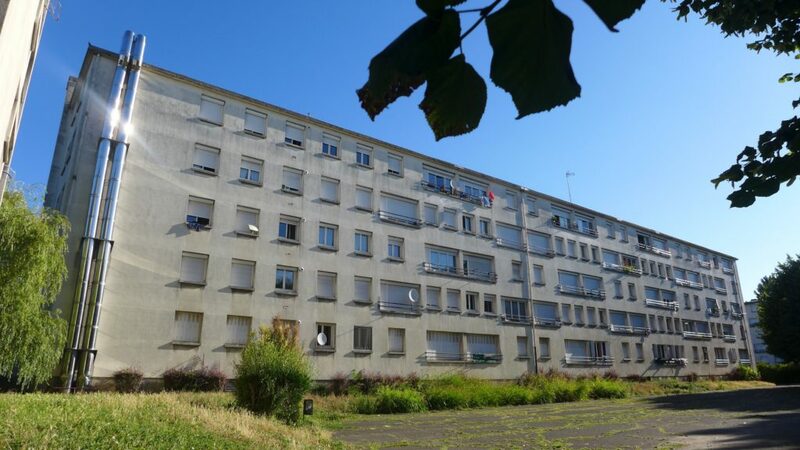 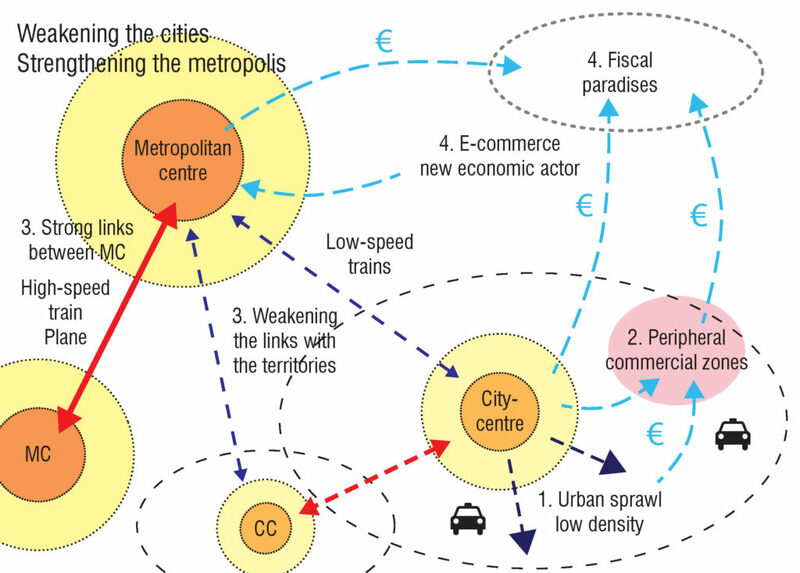 The study is structured by the development of an axis from the agglomeration centre (Geneva – Eaux Vives) to the regional centre (Annemasse) while seeking the construction of a framework balancing the economic development and promoting environmental quality and landscape. 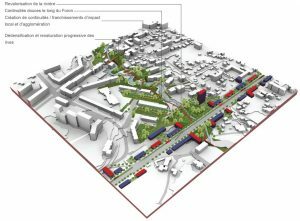 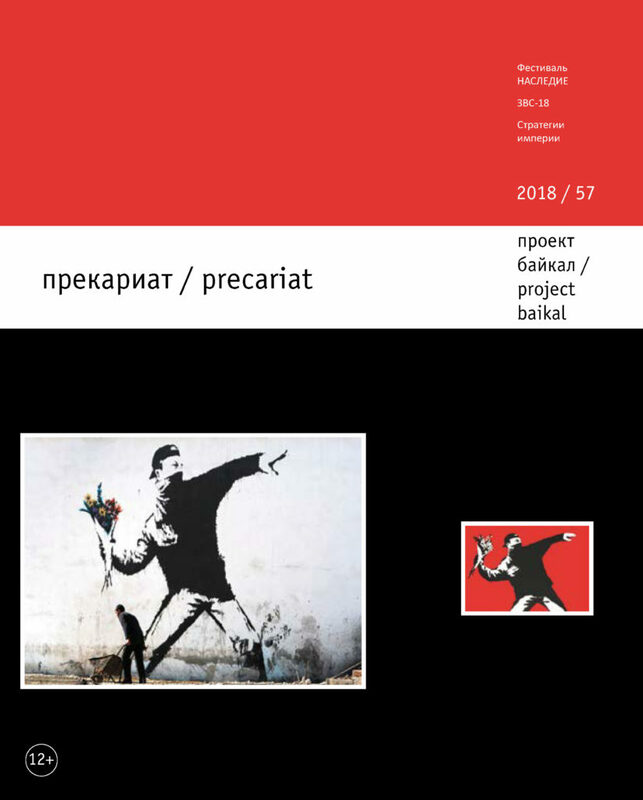 Other projects are already in the area of study, such as the rail connection (RER) between Geneva and Annemasse, or the development and urban renewal of the station and its neighbourhoods.